Hello, everyone! My name is Tracy Van Houten. I’m a rocket scientist, a mom, an ignited citizen – and I’m here because, like all of you, I believe in science! I’ve spent the last 13 years as a lead systems engineer with our space program, as an advocate for STEM education, and as a mentor to hundreds of young people pursuing careers in science, technology, engineering, and math – and I am currently working on the Mars 2020 project. But after years of sending rovers to explore our universe, I was met with a kind of existential crisis: that answering mankind’s biggest questions no longer seemed big enough. Like many of my colleagues, gravity pulled me back to earth to face head-on this “fierce urgency of now” – and has put me solidly on the path of political activism, including a run for Congress. This is not a familiar place for us. As scientists, we are trained to be apolitical. It is our job to find the data and it is up to lawmakers to create the public policy around it. But when there is an active campaign to discredit facts and science and drag them into the partisan muck – you know what? We are going to go in there and get it back. During my work on the NASA earth science satellite studying our planet’s resources, I saw first-hand the effects of human-caused climate change on the quality of the air that we breathe and the water that we drink. There is no Planet B – and climate change is NOT a hoax. Facts matter. Who knew that in 2017, affirming the universe’s properties and fundamentals could be considered a subversive act? Well, science is severely underrepresented in our government – only 11 of our 535 members of Congress – yes, that’s 2% -– have STEM backgrounds. And it is absolutely crucial that that change. We must have a seat at the table to speak truth to power about the very real way climate change is impacting our communities. And it is a fact that our climate, our infrastructure, our water sustainability, and our education system are all intrinsically linked to equality and social justice, and to our nation’s shared humanity and ultimate triumph. And it is our job right here, right now, to forge the resistance, to stand up for the truth, and to lead the fight against alternative facts. To be sure, we are in challenging times. The Environmental Protection Agency is under attack, regulations are being gutted, and our clean air and water are under threat in favor of corporate profit. But I maintain a vision of optimism even in the darkest of times, because truth and facts always win in the end. At JPL, we have a motto: “Dare Mighty Things” – and today, that’s what I call on all of you to do. Encourage and inspire the next generation of leaders and activists by becoming an advocate for STEM. This is the pipeline that will serve as our lifeline – so familiarize yourself with the curriculum and learn about the importance of STEM education. 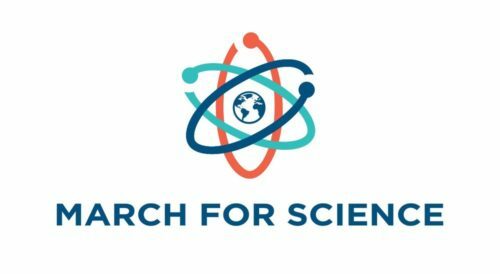 Call your representatives and tell them that educating our kids in science and math is not a question – it’s the answer. Find your nearest community STEM school and volunteer your time and resources. It’s fitting that we call America, “the American Experiment” – because we are not done yet. We must, and will, persevere – for we all have within us the ability to resist and to fight, and the passion to harness the dreams of a million stars to light the path toward a better tomorrow. We will fight for my children’s future, we will fight for all our children’s futures. We will not be silenced, we will not stand down, we will not falter – and we will prevail because we have the facts on our side, and facts always trump fear.